Born: Kolina, Czechoslovakia, 10 June 1953. Family Connections: Ales Dryml (Son), Lukas Dryml (Son). 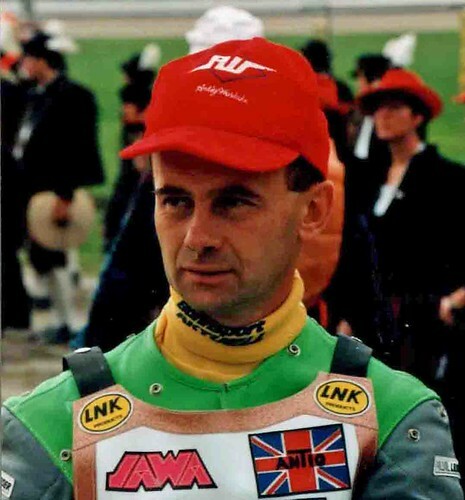 World Longtrack: Second 1989, 1991, Finalist 1977, 1978, 1979, 1983, 1984, 1985, 1990, 1992, 1993, 1994, 1995, 1996, Semi-finalist 1980, 1982, Qualifying Round 1981; Best Other Results: Semi-final: First 1991, 1993, Second 1984, 1992, Third 1985, 1989, 1990, 1994, Qualifying Round: First 1984, Second 1983, Third 1982, 1985. Czechoslovakia Longtrack Championship: First 1982, Second 1980, 1983, 1985, 1991, Third 1984; Czech Longtrack Championship: First 1993, 1994, 1995; German Grasstrack Silver Helmet: First 1985, Golden Pheasant: First 1983, Schwarme First 1989. Exeter (1978-79), Sheffield (1980), Birmingham (1982).